FJORDMAN: UNMASKING MOHAMED’S DUBIOUS EXISTENCE…….. – The Tundra Tabloids……. 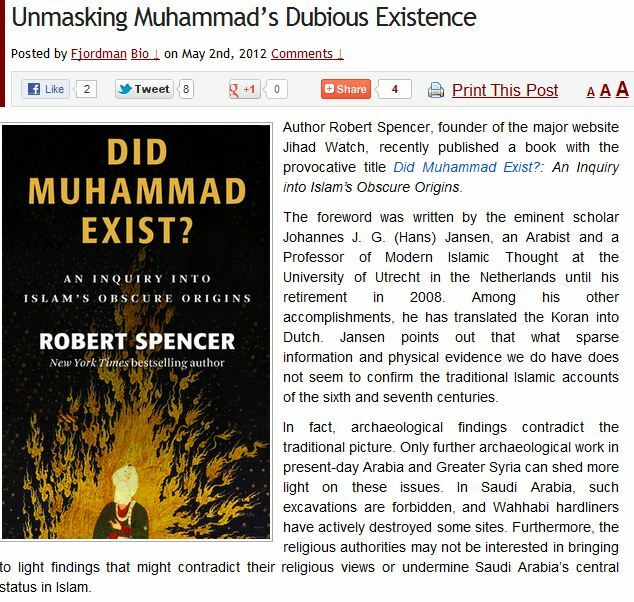 FJORDMAN: UNMASKING MOHAMED’S DUBIOUS EXISTENCE…….. I think that Robert has a winner here. Previous Post Previous Post PAKISTANI CHRISTIAN JAILED FOR BLASPHEMY AGAINST MOHAMED……..